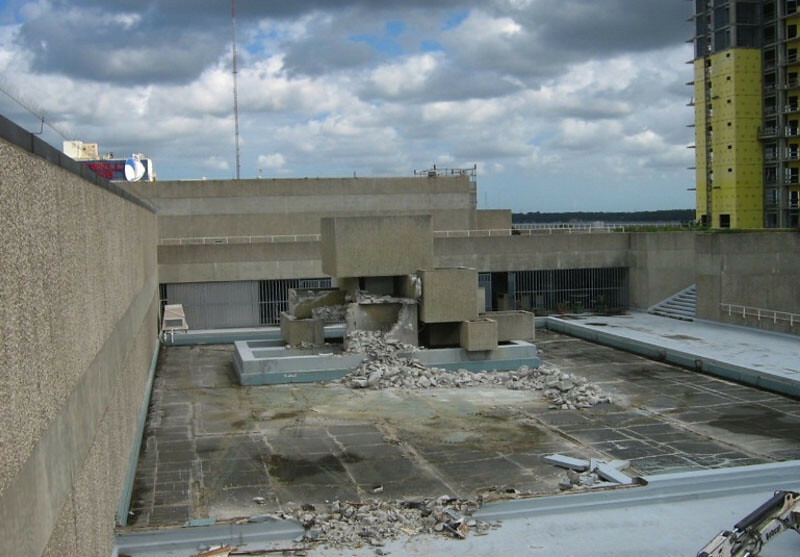 Be careful the next time you curse a building as a bad piece of architecture. Sometimes looks aren't always what they seem. 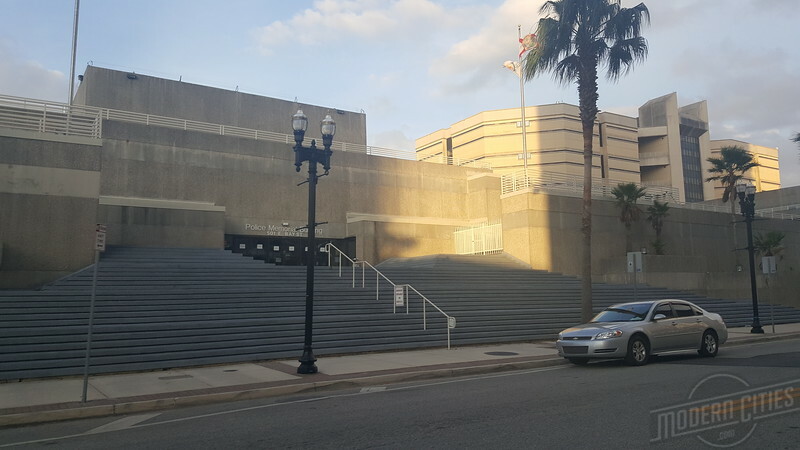 Here's seven downtown Jacksonville buildings that have been modified beyond recognition. With a little hope, maybe it's not too late to restore a few back to their original grandeur. 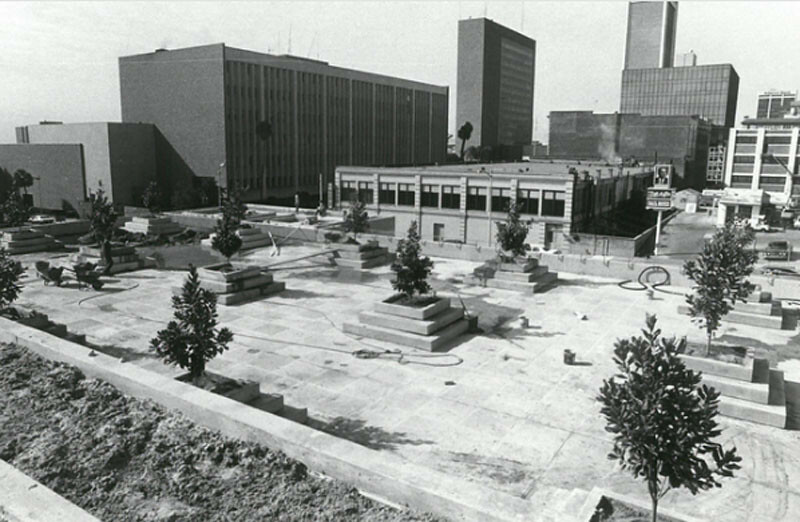 When it was completed in 1977, the Police Memorial Building combined an often formidable municipal function with a welcoming public park. 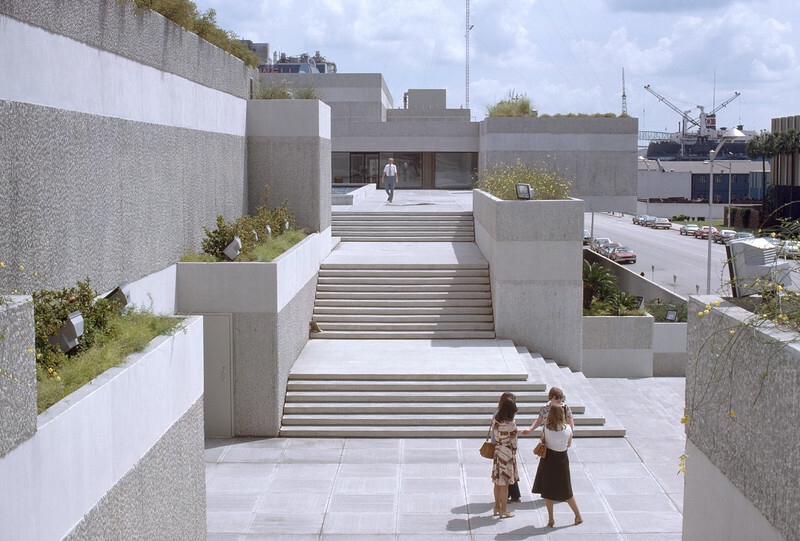 Designed by William Morgan, the modern building featured a below ground parking garage and a rooftop neighborhood garden with multiple terraces, plantings, a pool, fountain and heliport. 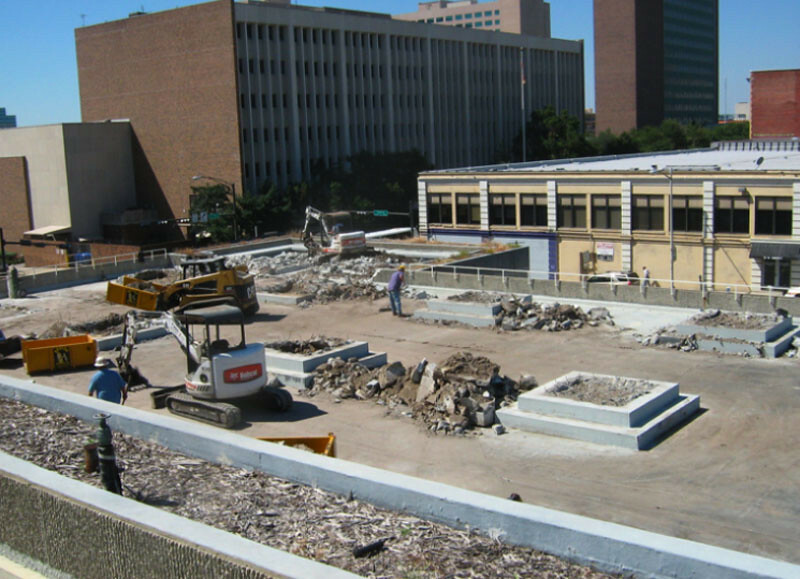 At some point, the publicly accessible rooftop park was declared a security hazard and closed, transforming the complex to the formidable structure Morgan’s original vision intended to soften. The Police Memorial Building in 2016. 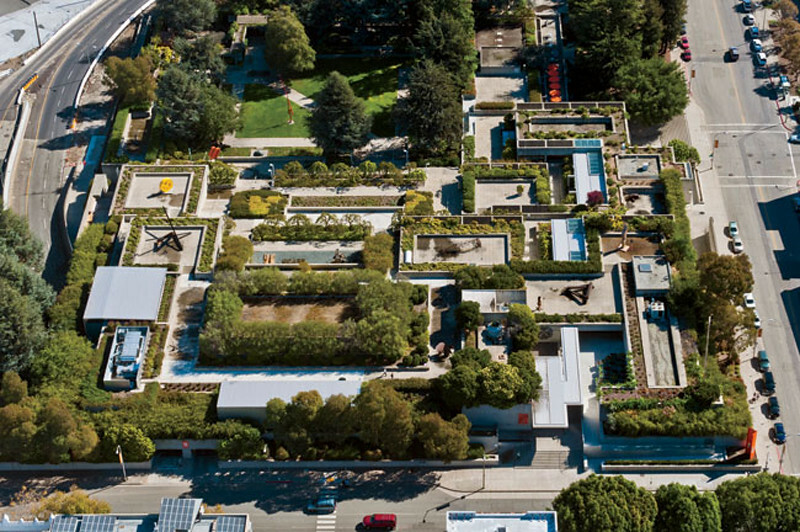 One can only imagine the masterpiece that could have anchored East Bay Street if the landscaping in Morgan’s rooftop park would have been allowed to mature, similiar to that of the Oakland Museum of California.